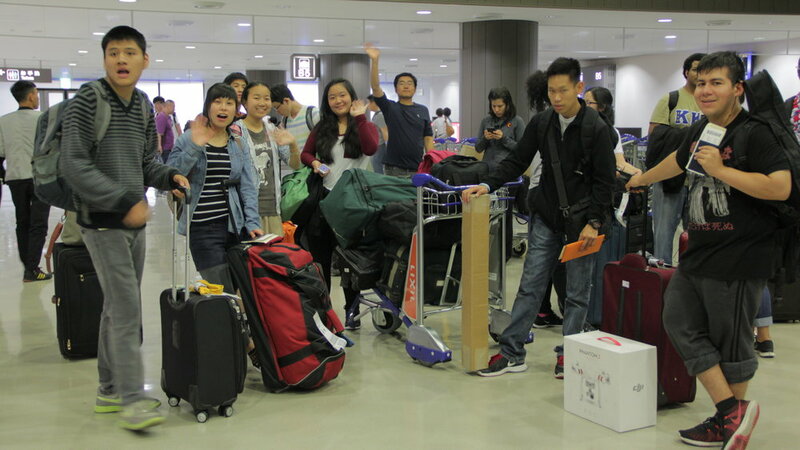 We finally arrived at Narita International Airport in Tokyo! After the long 14-hour flight from Los Angeles, we made it! We were warmly welcomed by two of our Japanese hosts, Taka and Yumika. Despite the long trip and time difference, everyone was in high spirits. 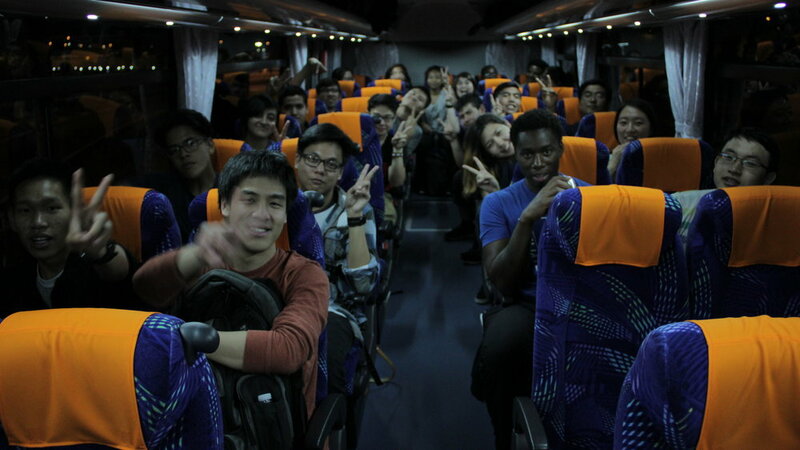 We got on the bus for another 2-hour ride, sang a few songs in Japanese, and admired the night lights of Tokyo City. We also passed the Tokyo Tower as it was beaming bright in the night sky. It was amazing to be able to see these city highlights in real life after only having seen them in pictures on the internet. Some commented that it looked shorter than they had thought! We had lots of fun on the colorful bus! We ended this long day with gratitude for having arrived safely in Japan and with hope and joy, knowing that we have a great adventure waiting for us the next day! Participants close the night in prayer and gratitude. To see all the updates and pictures, click here!